For other uses, see Impi (disambiguation). The impi was a military formation that transformed the face of southern Africa, on into East and central Africa. Its highest development took place under Shaka, initiator of several important organizational, weapons and tactical innovations. Impi is a Zulu word for any armed body of men. However, in English it is often used to refer to a Zulu regiment, which is called an ibutho in Zulu. Its beginnings lie far back in historic tribal warfare customs, when groups of armed men called impis battled. They were systematised radically by the Zulu king Shaka, who was then only the exiled illegitimate son of king Senzangakhona, but already showing much prowess as a general in the army of Mthethwa king Dingiswayo in the Mthethwa-Ndwandwe war in the early 1810s. Zulu or isiZulu is the language of the Zulu people, with about 10 million speakers, the vast majority of whom live in South Africa. Zulu is the most widely spoken home language in South Africa, and it is understood by over 50% of its population. It became one of South Africa's 11 official languages in 1994. Shaka kaSenzangakhona, also known as Shaka Zulu, was one of the most influential monarchs of the Zulu Kingdom. The Mthethwa Paramountcy, sometimes referred to as the Mtetwa or Mthethwa Empire, was a Southern African state that arose in the 18th century south of Delagoa Bay and inland in eastern southern Africa. "Mthethwa" means "the one who rules". According to Muzi Mthethwa (1995), the Mthethwas are descended from the Nguni tribes of northern Natal and the Lubombo Mountains, whose modern identity dates back some 700 years. They are among the first Thonga-Nguni groups who left the Great Lakes in Central Africa between 200 AD and 1200 AD. On arrival in Southern Africa, they settled around modern-day Swaziland, mainly on the Lubombo Mountains, before leaving in the 17th century to settle in modern-day KwaZulu-Natal, in the Nkandla region. It consisted of roughly 30 Nguni Chiefdoms, lineages, and clans. Unlike its successor, the Zulu Kingdom, the Mthethwa Paramountcy was a confederation. After Zulu prince Sigidi kaSenzagakhona became king, he forged a nearly homogeneous nation with a single king (nkosi). Dingiswayo was a Mthethwa chief, well known for his mentorship over a young Zulu general, Shaka Zulu, who rose to become the greatest of the Zulu kings. His father was the Mthethwa chief Jobe, and Jobe was the son of Kayi, who may be seen as the founder of the Mthethwa kingdom. It was under Dingiswayo that the Mthethwa rose to prominence, mostly employing diplomacy and assimilation of nearby chiefdoms to strengthen his power base. Dingiswayo was born into the Mthethwa royal family, and was son of Jobe. According to Muzi Mthethwa (1995), the Mthethwas are descended from the Nguni tribes of northern Natal and the Lubombo Mountains, whose modern identity dates back some 700 years. Cattle raiding is the act of stealing cattle. In Australia, such stealing is often referred to as duffing, and the perpetrator as a duffer. In North America, especially in the Wild West cowboy culture, cattle theft is dubbed rustling, while an individual who engages in it is a rustler. Melee or pell-mell battle generally refers to disorganized close combat in battles fought at abnormally close range with little central control once it starts. Veld, also spelled veldt, is a type of wide open rural landscape in Southern Africa. Particularly, it is a flat area covered in grass or low scrub, especially in the countries of South Africa, Lesotho, Swaziland, Zimbabwe and Botswana. A certain sub-tropical woodland ecoregion of Southern Africa has been officially defined as the Bushveld by the World Wide Fund for Nature. Trees are found only in a few places—frost, fire and grazing animals allow grass to grow but prevent the growth of trees. As weapons, the Zulu warrior carried the iklwa stabbing spear (losing one could result in execution) and a club or cudgel fashioned from dense hardwood known in Zulu as the iwisa, usually called the knobkerrie in English, for beating an enemy in the manner of a mace. Zulu officers often carried the Zulu Axe, but this weapon was more of a symbol to show their rank. The iklwa – so named because of the sucking sound it made when withdrawn from a human body – with its long (c. 25 cm [9.4 in]) and broad blade was an invention of Shaka that superseded the older thrown ipapa (so named because of the "pa-pa" sound it made as it flew through the air). It could theoretically be used both in melee and as a thrown weapon, but warriors were forbidden in Shaka's day from throwing it, which would disarm them and give their opponents something to throw back. Moreover, Shaka felt it discouraged warriors from closing into hand-to-hand combat. Shaka's brother, and successor, Dingane reintroduced greater use of the throwing spear, perhaps as a counter to Boer firearms. As early as Shaka's reign small numbers of firearms, often obsolete muskets and rifles, were obtained by the Zulus from Europeans by trade. In the aftermath of the defeat of the British at the Battle of Isandlwana many Martini-Henry rifles were captured by the Zulus together with considerable amounts of ammunition. The advantage of this capture is debatable due to the alleged tendency of Zulu warriors to close their eyes when firing such weapons. The possession of firearms did little to change Zulu tactics, which continued to rely on a swift approach to the enemy to bring him into close combat. All warriors carried a shield made of oxhide, which retained the hair, with a central stiffening shaft of wood, the mgobo. Shields were the property of the king; they were stored in specialised structures, raised off the ground for protection from vermin, when not issued to the relevant regiment. The large isihlangu shield of Shaka's day was about five feet in length and was later partially replaced by the smaller umbumbuluzo, a shield of identical manufacture but around three and a half feet in length. Close combat relied on co-ordinated use of the iklwa and shield. The warrior sought to get the edge of his shield behind the edge of his enemy's, so that he could pull the enemy's shield to the side thus opening him to a thrust with the iklwa deep into the abdomen or chest. The fast-moving host, like all military formations, needed supplies. These were provided by young boys, who were attached to a force and carried rations, cooking pots, sleeping mats, extra weapons and other material. Cattle were sometimes driven on the hoof as a movable larder. Again, such arrangements in the local context were probably nothing unusual. What was different was the systematisation and organisation, a pattern yielding major benefits when the Zulu were dispatched on raiding missions. Age-grade groupings of various sorts were common in the Bantu tribal culture of the day, and indeed are still important in much of Africa. Age grades were responsible for a variety of activities, from guarding the camp, to cattle herding, to certain rituals and ceremonies. It was customary in Zulu culture for young men to provide limited service to their local chiefs until they were married and recognised as official householders. Shaka manipulated this system, transferring the customary service period from the regional clan leaders to himself, strengthening his personal hegemony. Such groupings on the basis of age, did not constitute a permanent, paid military in the modern Western sense, nevertheless they did provide a stable basis for sustained armed mobilisation, much more so than ad hoc tribal levies or war parties. Shaka organised the various age grades into regiments, and quartered them in special military kraals, with each regiment having its own distinctive names and insignia. Some historians argue that the large military establishment was a drain on the Zulu economy and necessitated continual raiding and expansion. This may be true since large numbers of the society's men were isolated from normal occupations, but whatever the resource impact, the regimental system clearly built on existing tribal cultural elements that could be adapted and shaped to fit an expansionist agenda. Zulu warrior in full regimental regalia, carrying the large isihlangu war shield. c. 1860. The upper body is covered in cow tails, the kilt is of spotted cat, genet or civet skin and the shins are decorated with cowtails. The elaborate headdress consists of a browband and face-framing flaps of leopard skin with another band of otter skin above. There are multiple ostrich feather plumes and a single upright crane's feather. Shaka discarded sandals to enable his warriors to run faster. Initially the move was unpopular, but those who objected were simply killed, a practice that quickly concentrated the minds of remaining personnel. Zulu tradition indicates that Shaka hardened the feet of his troops by having them stamp thorny tree and bush branches flat. Shaka drilled his troops frequently, implementing forced marches covering more than fifty miles a day. He also drilled the troops to carry out encirclement tactics (see below). Such mobility gave the Zulu a significant impact in their local region and beyond. Upkeep of the regimental system and training seems to have continued after Shaka's death, although Zulu defeats by the Boers, and growing encroachment by British colonists, sharply curtailed raiding operations prior to the War of 1879. Morris (1965, 1982) records one such mission under King Mpande to give green warriors of the uThulwana regiment experience: a raid into Swaziland, dubbed "Fund' uThulwana" by the Zulu, or "Teach the uThulwana". Impi warriors were trained as early as age six, joining the army as udibi porters at first, being enrolled into same-age groups (intanga). Until they were buta'd, Zulu boys accompanied their fathers and brothers on campaign as servants. Eventually, they would go to the nearest ikhanda to kleza (literally, "to drink directly from the udder"), at which time the boys would become inkwebane, cadets. They would spend their time training until they were formally enlisted by the king. They would challenge each other to stick fights, which had to be accepted on pain of dishonor. In Shaka's day, warriors often wore elaborate plumes and cow tail regalia in battle, but by the Anglo-Zulu War of 1879, many warriors wore only a loin cloth and a minimal form of headdress. The later period Zulu soldier went into battle relatively simply dressed, painting his upper body and face with chalk and red ochre, despite the popular conception of elaborately panoplied warriors. Each ibutho had a singular arrangement of headdress and other adornments, so that the Zulu army could be said to have had regimental uniforms; latterly the 'full-dress' was only worn on festive occasions. The men of senior regiments would wear, in addition to their other headdress, the head-ring (isicoco) denoting their married state. A gradation of shield colour was found, junior regiments having largely dark shields the more senior ones having shields with more light colouring; Shaka's personal regiment Fasimba (The Haze) having white shields with only a small patch of darker colour. This shield uniformity was facilitated by the custom of separating the king's cattle into herds based on their coat colours. Certain adornments were awarded to individual warriors for conspicuous courage in action; these included a type of heavy brass arm-ring (ingxotha) and an intricate necklace composed of interlocking wooden pegs (iziqu). The buffalo horns formation of the Zulu army. Parts 1–4 above: 1 "enemy", 2 "horns", 3 "chest", 4 "loins"
the "horns", or flanking right and left wing elements, to encircle and pin the enemy. Generally the "horns" were made up of younger, greener troops. the "chest" sometimes referred to as “head” or central main force which delivered the coup de grace. The prime fighters made up the composition of the main force. Encirclement tactics are not unique in warfare, and historians note that attempts to surround an enemy were not unknown even in the ritualised battles. The use of separate manoeuvre elements to support a stronger central group is also well known in pre-mechanised tribal warfare, as is the use of reserve echelons farther back. What was unique about the Zulu was the degree of organisation, consistency with which they used these tactics, and the speed at which they executed them. Developments and refinements may have taken place after Shaka's death, as witnessed by the use of larger groupings of regiments by the Zulu against the British in 1879. Missions, available manpower and enemies varied, but whether facing native spear, or European bullet, the impis generally fought in and adhered to the classical buffalo horns pattern. Regiments and corps. The Zulu forces were generally grouped into three levels: regiments, corps of several regiments, and "armies" or bigger formations, although the Zulu did not use these terms in the modern sense. 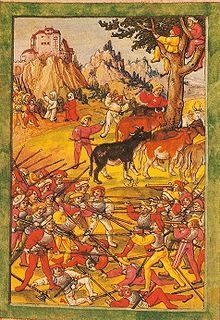 Although size distinctions were taken account of, any grouping of men on a mission could collectively be called an impi, whether a raiding party of 100 or horde of 10,000. Numbers were not uniform but dependent on a variety of factors, including assignments by the king, or the manpower mustered by various clan chiefs or localities. A regiment might be 400 or 4000 men. These were grouped into corps that took their name from the military kraals where they were mustered, or sometimes the dominant regiment of that locality. There were 4 basic ranks: herdboy assistants, warriors, inDunas and higher ranked supremos for a particular mission. Higher command and unit leadership. Leadership was not a complicated affair. An inDuna guided each regiment, and he in turn answered to senior izinduna who controlled the corps grouping. Overall guidance of the host was furnished by elder izinduna usually with many years of experience. One or more of these elder chiefs might accompany a big force on an important mission, but there was no single "field marshal" in supreme command of all Zulu forces. Regimental izinduna, like the non-coms of today's army, and yesterday's Roman Centurions, were extremely important to morale and discipline. This was shown during the battle of Isandhlwana. Blanketed by a hail of British bullets, rockets and artillery, the advance of the Zulu faltered. Echoing from the mountain, however, were the shouted cadences and fiery exhortations of their regimental izinduna, who reminded the warriors that their king did not send them to run away. Thus encouraged, the encircling regiments remained in place, maintaining continual pressure, until weakened British dispositions enabled the host to make a final surge forward. (See Morris ref below—"The Washing of the Spears"). In this period Shaka's power grew, defeating several powerful local rivals and creating a vast monolith that was the most powerful nation in its region. Command and control of the impis was problematic at times. Indeed, the Zulu attacks on the British strongpoints at Rorke's Drift and at Kambula, (both bloody defeats) seemed to have been carried out by over-enthusiastic leaders and warriors despite contrary orders of the Zulu King, Cetshwayo. Popular film re-enactments display a grizzled izinduna directing the host from a promontory with elegant sweeps of the hand. This might have happened during the initial marshaling of forces from a jump off point, or the deployment of reserves, but once the great encircling sweep of frenzied warriors in the "horns" and "chest" was in motion, the izinduna could not generally exercise detailed control. When the Zulu did acquire firearms, most notably captured stocks after the great victory at Isandhlwana, they lacked training and used them ineffectively, consistently firing high to give the bullets "strength." Southern Africa, including the areas near Natal, was teeming with bands like the Griquas who had learned to use guns. Indeed, one such group not only mastered the way of the gun, but became proficient horsemen as well, skills that helped build the Basotho tribe, in what is now the nation of Lesotho. In addition, numerous European renegades or adventurers (both Boer and non-Boer) skilled in firearms were known to the Zulu. Some had even led detachments for the Zulu kings on military missions. The Zulu thus had clear scope and opportunity to master and adapt the new weaponry. They also had already experienced defeat against the Boers, by concentrated firearms. They had had at least four decades to adjust their tactics to this new threat. A well-drilled corps of gunmen or grenadiers, or a battery of artillery operated by European mercenaries for example, might have provided much needed covering fire as the regiments manoeuvred into position. No such adjustments were on hand when they faced the redcoats. Immensely proud of their system, and failing to learn from their earlier defeats, they persisted in "human wave" attacks against well defended European positions where massed firepower devastated their ranks. The ministrations of an isAngoma (plural: izAngoma) Zulu diviner or "witch doctor", and the bravery of individual regiments were ultimately of little use against the volleys of modern rifles, Gatling guns and artillery at the Ineyzane River, Rorke's Drift, Kambula, Gingingdlovu and finally Ulindi. Undoubtedly, Cetshwayo and his war leaders faced a tough and extremely daunting task – overcoming the challenge of concentrated rifled, Gatling gun, and artillery fire on the battlefield. It was one that also taxed European military leaders, as the carnage of the American Civil War and the later Boer War attests. 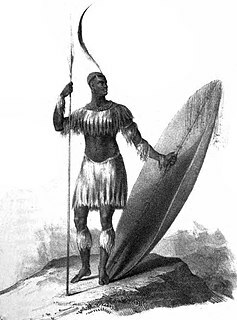 Nevertheless, Shaka's successors could argue that within the context of their experience and knowledge, they had done the best they could, following his classical template, which had advanced the Zulu from a small, obscure tribe to a respectable regional power known for its fierce warriors. 'An' a Zulu Impi dished us up in style. Today the impi lives on in popular lore and culture, even in the West. While the term "impi" has become synonymous with the Zulu nation in international popular culture, it appears in various video games such as Civilization III , Civilization IV: Warlords , Civilization: Revolution , and Civilization V: Brave New World , where the Impi is the unique unit for the Zulu faction with Shaka as their leader and also as an appearance as unique unit of the Bantu nation in Rise of Nations (Zulus are among many tribes who make up the Bantu people) . 'Impi' is also the title of a very famous South Africa song by Johnny Clegg and the band Juluka which has become something of an unofficial national anthem, especially at major international sports events and especially when the opponent is England. Mfecane, also known by the Sesotho name Difaqane or Lifaqane, was a period of widespread chaos and warfare among indigenous ethnic communities in southern Africa during the period between 1815 and about 1840. The Zulu Civil War or Ndwandwe–Zulu War of 1817–1819 was a war fought between the expanding Zulu Kingdom and the Ndwandwe tribe in South Africa. The Battle of Gqokli Hill was conducted in about April 1818, a part of the Mfecane, between Shaka of the Zulu nation and Zwide of the Ndwandwe, in Shaka's territory just south of present-day Ulundi. The Ndwandwe are a Bantu Nguni-speaking people who populate sections of southern Africa. Ndlela kaSompisi was a key general to Zulu Kings Shaka and Dingane. He rose to prominence as a highly effective warrior under Shaka. Dingane appointed him as his inDuna, or chief advisor. He was also the principal commander of Dingane's armies. However, Ndlela's failure to defeat the Boers under Andries Pretorius and a rebellion against Dingane led to his execution. Zwide kaLanga (1758–1825) was the King of the Ndwandwe (Nxumalo) nation from about 1805 to around 1820. He was the son of Langa KaXaba, a Nxumalo king. Legend has it that Zwide's mother, Queen Ntombazi, was a sangoma. Mashobane KaMangethe was a South African and Mthwakazian traditional and ancestral leader. The Khumalo are an African clan that originated in northern KwaZulu, South Africa. The Khumalos are part of a group of Zulus and Ngunis known as the Mtungwa. Others include the Blose and Mabaso, located between the Ndwandwe and the Mthethwa. Their most famous issue was Mzilikazi, an influential figure in the mfecane, and founder of the Northern Ndebele nation. Soshangane kaZikode, born Soshangane Nxumalo, was the founder and self-crowned king of the Gaza Empire, which at the height of its power stretched from the Limpopo river in southern Mozambique up to the Zambezi river in the north. Soshangane ruled over the Gaza state from 1825 until his death in 1858. Soshangane was also known by the name of Manukosi. Black people from South Africa were at times officially called Bantu by the apartheid regime. The term Bantu is derived from the word for "people" common to many of the Bantu languages. The Oxford Dictionary of South African English describes its contemporary usage in a racial context as "obsolescent and offensive" because of its strong association with white minority rule and the apartheid system. However, Bantu is used without pejorative connotations in other parts of Africa. The Natal Native Contingent was a large force of auxiliary soldiers in British South Africa, forming a substantial portion of the defence forces of the British colony of Natal, and saw action during the 1879 Anglo-Zulu War. Recruited from the local black population, the NNC was originally created in 1878 in order to bolster the defences of Natal. Most NNC troops were drawn from the Basuto and Mponso tribes, which had had long experience of fighting against the Zulus. The Nguni people are a group of Bantu peoples who primarily speak Nguni languages and currently reside predominantly in Southern Africa. The Nguni people are Xhosa, Zulu, Mpondo people, Ndebele and Swati people. They predominantly live in South Africa. Swati people live in both South Africa and Eswatini. While Ndebele and Xhosa people live in both South Africa and Zimbabwe. In South Africa, the historic Nguni kingdoms of the Xhosa, Zulu, Mpondo, Ndebele, Tsonga and Swazi lie on the present provinces of the Eastern Cape, KwaZulu-Natal, and Mpumalanga. The most notable of these kingdoms is the Zulu Kingdom, which was ruled by Shaka kaSenzangakhona, a powerful warrior king whose conquest took place in the early nineteenth century. In Zimbabwe, the Ndebele people live primarily in Matebeleland, Bulawayo, and Midlands. The Kingdom of Zulu, sometimes referred to as the Zulu Empire or the Kingdom of Zululand, was a monarchy in Southern Africa that extended along the coast of the Indian Ocean from the Tugela River in the south to Pongola River in the north. African military systems (1800–1900) refers to the evolution of military systems on the African continent after 1800, with emphasis on the role of indigenous states and peoples within the African continent. Only major military systems or innovations and their development after 1800 are covered here. For events prior to 1800, see African military systems to 1800. Coverage of the 20th century and beyond is provided in African military systems after 1900. For an overall view of the military history of Africa by region, see Military History of Africa. See individual battles, empires and leaders for details on activities after 1800. ↑ Donald Morris, 'The Washing of the Spears,' Touchstone, 1965. ↑ Morris, Washing of the Spears, p. 51. ↑ Guttman, Jon. Military History, Jun2008, Vol. 24 Issue 4, p. 23-23. ↑ Knight, Ian (1995) Anatomy of the Zulu Army, pp. 3–49. ↑ Davis, Paul K. (2001), 100 Decisive Battles: From Ancient Times to the Present, pp. 14–126. ↑ Bruce Vandervort, Wars of Imperial Conquest in Africa: 1830–1914, Indiana University Press: 1998, p. 39. 1 2 J.D. Omer-Cooper, The Zulu Aftermath. ↑ J.D. Omer-Cooper, The Zulu aftermath. ↑ See J. D. Omer-Cooper: The Zulu Aftermath and Donald Morris: The Washing of the Spears. ↑ Isandlwana 1879: The Great Zulu Victory, by Ian Knight, Osprey: 2002, pp. 49, See also Donald Morris, The Washing of The Spears, Touchstone: 1965, pp. 263-382. ↑ Colenso, 1880, p.318, gives the total strength of the Zulu army at 35,000. ↑ I. Knigh. Isandlwana , 2002, p. 49; D. Morri, Washing of the Spears, 1965, pp. 263-382. ↑ Daryl Impey [@darylimpey] (5 July 2013). "Love this team - singing to "Impi" on the bus , legendary moments" (Tweet) – via Twitter. Knight, Ian. Brave Men's Blood, London, 1990. ISBN 1-84415-212-X. Knight, Ian (2002). Isandlwana 1879: The Great Zulu Victory. Osprey. ISBN 1-84176-511-2. Dutton, Roy (2010). Forgotten Heroes: Zulu & Basuto Wars including Complete Medal Roll. Infodial. ISBN 978-0-9556554-4-9. David, Saul (February 2009). "The Forgotten Battles of the Zulu War". BBC History Magazine . 10 (2). pp. 26–33. Whybra, Julian. 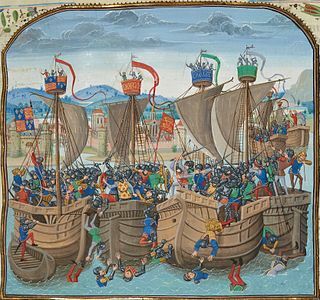 England's Sons, Billericay, (7th ed. ), 2010.